Experience dynamic Budapest, imperial Vienna and exquisitely preserved Prague. 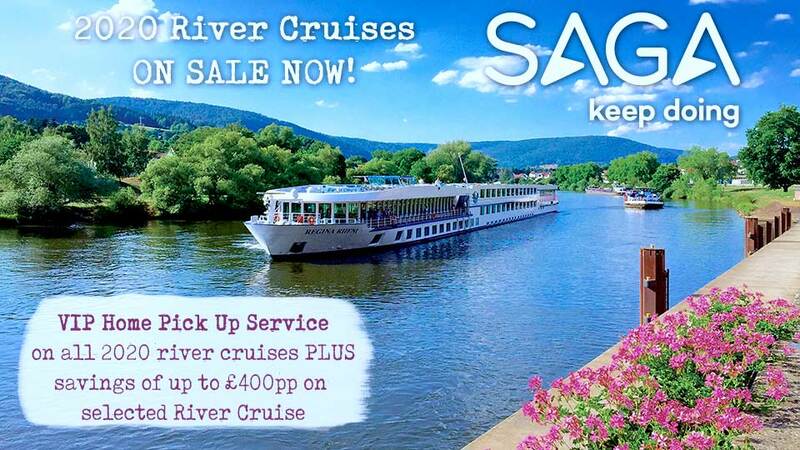 Marvel at ravishing scenery as your luxurious ship glides through the Wachau Valley, celebrated as one of the world's most beautiful landscapes, into Germany and past charming Bavarian villages. Exclusive treasures are plentiful on this delightful journey. Be treated to Hungarian hospitality at Bodor Major horse farm on bucolic Szentendre Island in Budapest. While in Vienna, marvel at the Gustav Klimt paintings at the Belvedere. Partake in an exclusive insider's look at Prague's historic Estates Theatre with its exquisite jewel-box theatre, where operas are staged to this day, and listen to a short music concert composed by Mozart and his contemporaries in the Mozart Salon. Go behind the scenes at a BMW factory to get an up-close view of Germany's rich automotive heritage, and "Go Active" with guided hiking and biking excursions along the Danube. 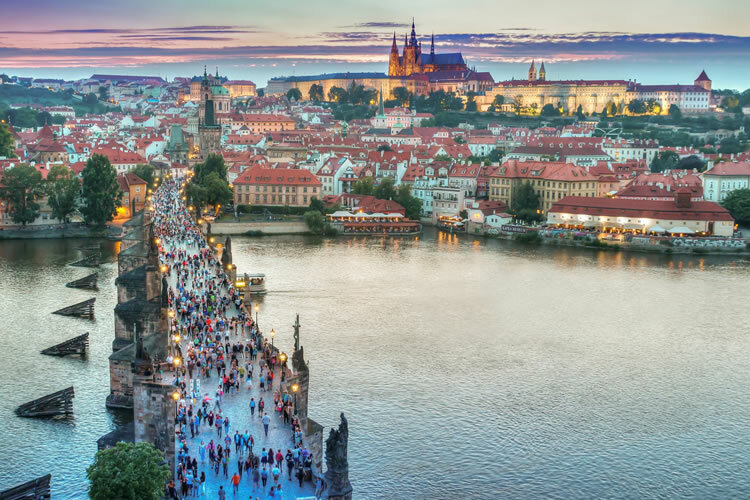 This enchanting voyage provides a variety of ways to enjoy captivating destinations as well as plenty of time to relax on board as you sail from Budapest to Nuremberg and spend two nights onshore in Prague. Arrive at Budapest Ferenc Liszt International Airport, where you will be transferred to the ship. FEATURED EXCURSIONS: Choice of Vienna city tour with Vienna State Opera visit OR exclusive "Vienna, City of Arts" tour. Sit back and enjoy the ever-changing views as your ship cruises through the Wachau Valley, famous for its apricot groves, Rieslings and natural beauty. Later, take your pick of excursions—a stroll and wine tasting in the centuries-old village of Spitz, or a visit to Melk Abbey and its opulent baroque-style library. 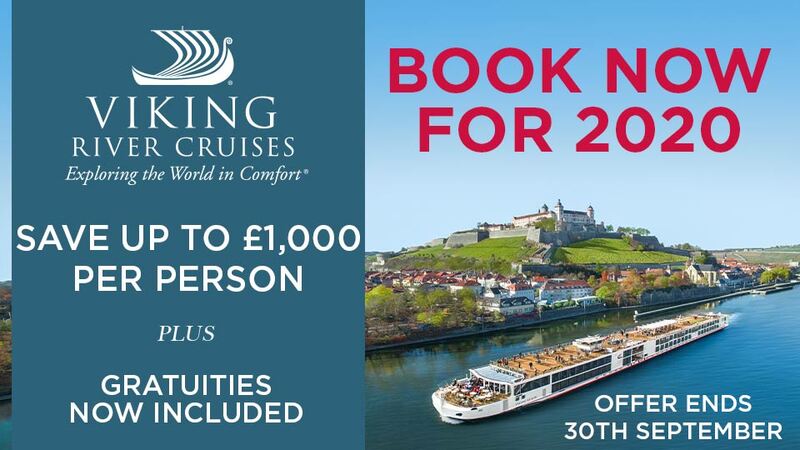 You’ll want to find a comfortable seat in the lounge or on the Sun Deck today as your ship cruises through the Wachau Valley toward Spitz. Over the eons, the Danube cut a gorge through the foothills of the Bohemian mountains, resulting in a 19-mile (30-kilometer) stretch of riverine scenery so beautiful, UNESCO declared it a World Heritage Landscape. Castle ruins dominate hilltops; baroque church towers appear on the riverbanks, marking historic villages and splendid abbeys; and apricot orchards and vineyards cling to the rocky slopes. Some of Austria’s finest white wines are produced from grapes ripening on the dry-stone terraces above the river, where grapes have been grown for 2,000 years. Your ship will dock in Spitz, midway through this glorious landscape, where you are faced with a difficult choice: Do you explore a charming riverbank village or visit one of the most beautiful libraries in the world? FEATURED EXCURSIONS: A trifecta of choices to experience Passau—walking discovery tour OR city tour with old town walk OR exclusive guided "Go Active" Bavarian river bike ride. Passau is a crossroads in more ways than one—three rivers meet here and three nations nearly do, making for a fascinating cultural mosaic. Get to know the town and its main claim to fame, Europe’s largest pipe organ, or “Go Active” with an invigorating riverside hike or bike ride. Your ship cruises through a scenic highlight of the Danube today, the Schlögener Schlinge—a hairpin loop in the Danube that was once very hazardous for ships and is now a lovely, serene stretch of water—and leaves Austria behind today. Your first German port of call is Passau, where three rivers meet—the Inn, the Ilz and the Danube—and three nations almost meet: Austria, Germany and the Czech Republic. Explore the historic Old Town or choose a more active adventure. FEATURED EXCURSIONS: Choice of "2,000 Years in One Hour" Regensburg walking discovery tour OR Jewish Regensburg walking discovery tour OR BMW factory visit. You have two tantalizing excursions to experience today, including a walking tour and brewery visit in Straubing, plus a choice of adventures in Regensburg, famous for its beautiful, UNESCO protected old city center. “Regensburg is so beautifully situated; this region had to attract a town,” wrote Goethe in his Diary of an Italian Voyage. And attract a town it did, but not due to its beautiful location alone. Ambitious and farseeing locals built a bridge (Steinerne Brücke, or Stone Bridge) over the Danube back in the 12th century, making Regensburg an international trading hub. Because so many of the handsome buildings from that period remain, UNESCO declared the old city center a World Heritage Site in 2006. But first, you’ll visit Straubing and visit a brewery—simply a must-do experience in Germany! The Main-Danube canal is a masterwork of engineering: It allows ships of all shapes and sizes to cruise from the Black Sea all the way to the North Sea, through no fewer than 15 countries. Sixteen locks punctuate the 106-mile (160-kilometer) stretch between Kelheim and Bamberg, linking the Rhine, Main and Danube rivers. Building the canal was no small task, especially considering changes of altitude (each river is different); the locks gently lift and lower the ships an astonishing 1,332 feet (406 meters) over the continental divide. Efforts to connect the rivers began with Charlemagne in AD 793, but the present-day canal was only completed in 1992. A special Captain’s Farewell Reception and Dinner will be prepared for you this evening. Choice of Nuremberg city tour OR Nuremberg WWII historical tour with Documentation Center visit. Nuremberg will forever be associated with the post-WWII Nuremberg trials, but the city’s profound historical and cultural significance stretches back many centuries before that. You’ll gain a newfound understanding and appreciation of both aspects of the city today on an in-depth tour with a local expert. Disembark the ship early in the morning—leaving your luggage in Uniworld’s expert hands—and delve into Nuremberg’s history, which is both glorious and profoundly difficult. One of Germany’s leading cities for many centuries, Nuremberg’s glowing heritage as a center of German arts, culture and economy was, sadly, also responsible for its disastrous experience in the 1930s and 1940s. Following your excursion, you’ll enjoy lunch on your own and then transfer via motorcoach to Prague, where you’ll check into your hotel. Is it possible not to be completely enchanted by Prague, with its fabled skyline of spires, fortress-like castle, beautifully preserved architecture and iconic Charles Bridge? A magnet for generations of artists, writers, scientists and composers, Prague is famous for its dynamic energy and elegant ambiance (and the beers here are pretty amazing, too). A thousand years of architecture, from ornate Gothic to fanciful postmodern, have been beautifully preserved in Prague, which has been a magnet for artists, writers, scientists and composers for centuries. It also boasts great beer, a lively art scene and up-and-coming fashion designers, making it a fun as well as a beautiful place to visit. Transfer to Prague Václav Havel Airport for your flight home. Return London Flights, other regional airports may be available at a supplement. Cultural enrichment, including a Signature Lecture: “Main-Danube Canal: History of an Engineering Milestone"